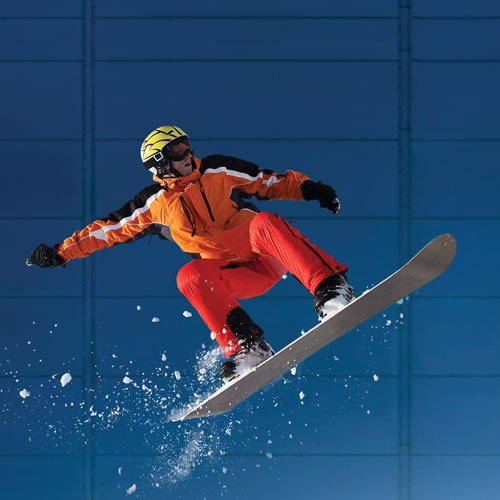 If you’ve got the skills you need, then why not take out a Ski Dubai Slope Package and enjoy some serious winter sports fun? You need to be Intermediate Level 2. Not quite up to the right level for a Slope Package? 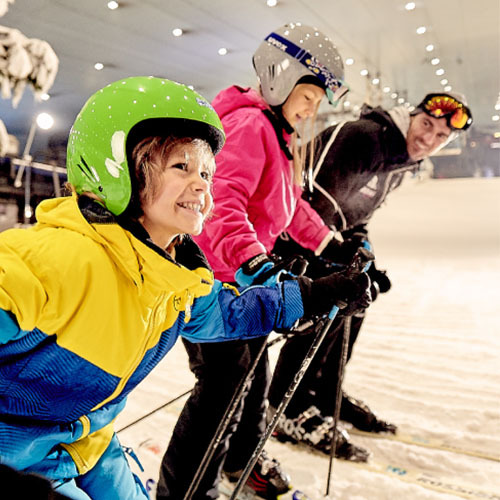 You can still enjoy Ski Dubai’s slope by booking Ski Dubai Experience with a Discovery Lesson (Skiing or Snowboarding), or join our Ski School to get you started with the right lessons. Develop your skills and you’ll soon be hitting the slopes! 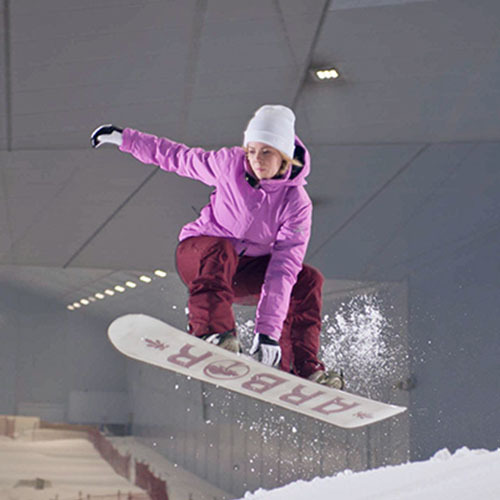 Spend a couple of hours at Ski Dubai with a two-hour Slope Pass, and enjoy some full-on winter sports action on the slopes! Book online to save 10 AED on the counter ticket price. Spend unlimited access to the Ski Dubai Slope with the Full Day Slope Pass, and enjoy some full-on winter sports action on the slopes! 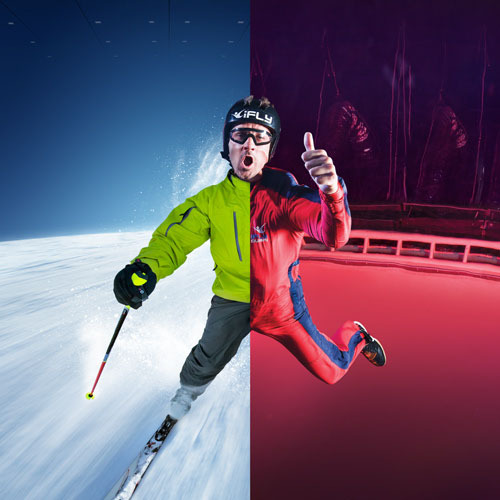 Enjoy two thrilling experiences from Ski Dubai at Mall of the Emirates and iFLY Dubai indoor Skydiving at City Centre Mirdif. Take out an incredible Snow Plus-Slope to enjoy full slope access and a range of winter activities! A 20% UAE Resident Rate Discount is available for this package - you can book online by providing your Emirates ID number. For safety reasons, children under three years of age are not allowed to enter Ski Dubai. Take to the slopes with a full access pass, and enjoy some incredible winter activities and sports! Find out whether skiing or snowboarding is the sport for you, with an introductory Snow Plus Discovery Lesson! A 20% UAE Resident Rate Discount is available for this package - you can book online by providing your Emirate ID number. 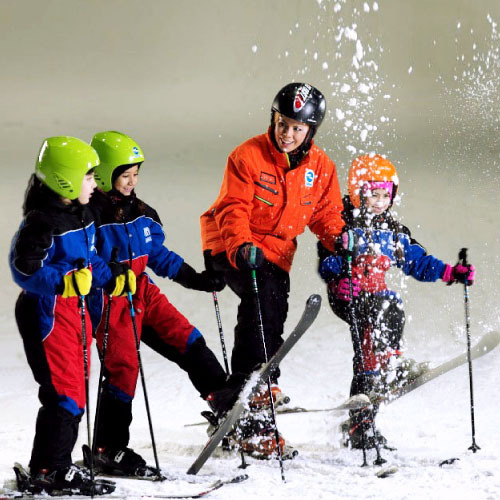 Find out whether you’ll enjoy further lessons, by starting out with a Discovery Lesson from Ski Dubai. Ski Dubai outfit: Trousers, Jackets, Disposable socks and Snow boots. 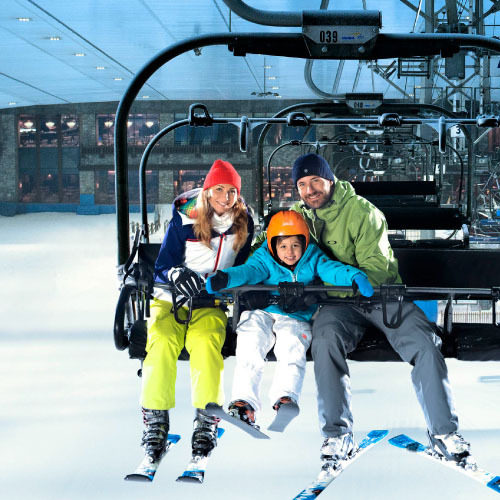 Join Ski Dubai today to take advantage of all the incredible benefits. 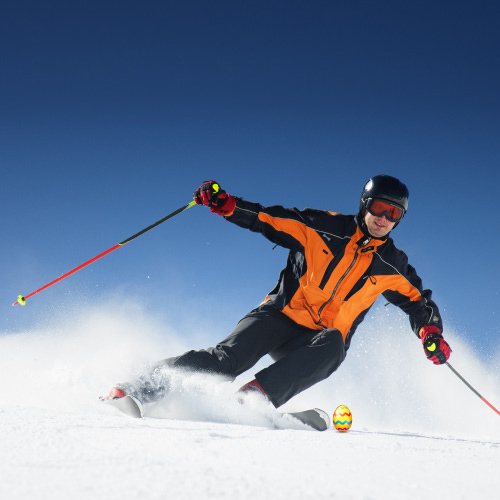 Master the slopes with the help of Ski Dubai’s fantastic Ski School. Enjoy group or one-to- one sessions with some of the most experienced winter sports coaches in the world.